Virtual and Augmented Reality are one of those technologies that we’ve been hearing about for a long long time. Is it finally breaking through? It’s forecast to be worth $150bn in 2020. As product folk, what do we need to know about this? 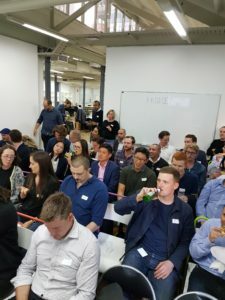 We had 3 amazing speakers who gave us a glimpse not only into this technology & business but also how much activity there is within Melbourne! Getting cozy as we’re at full capacity tonight! 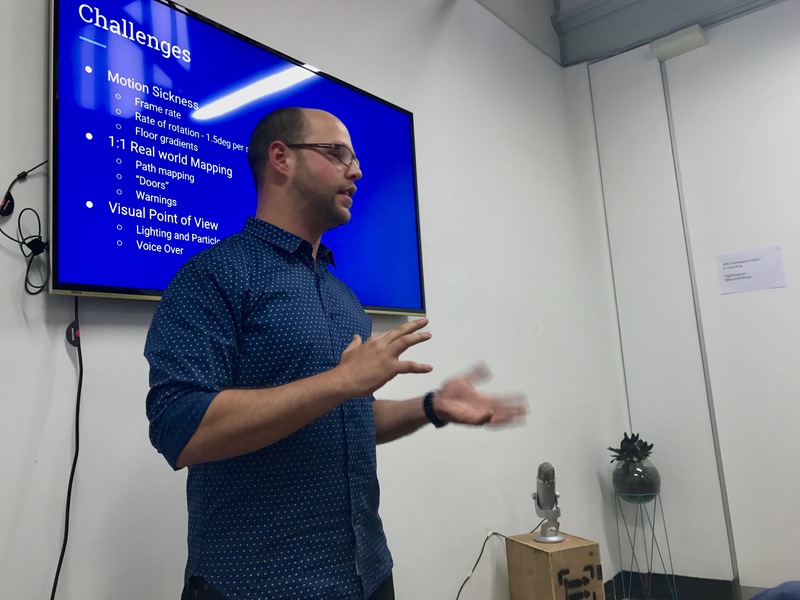 First up,Itai Etzman talked about product management at a VR startup. Itai has recently left Zero Latency – a multiplayer, free roaming, VR game. Itai recommended reading aviation human factors research to understand how the body & inner ear especially deals with rotation. You need to plan and test for emotion also! Fear & empathy are the strongest but nostalgia, excitement & joy are winners too. Next up, Trent Clews-de Castilla from Phoria (formerly SCANN3D). Trent elaborated on some of the things Itai spoke about – especially audio. With VR, touch, sight and sound are important though Trent thinks sound is the most important – you can even navigate with sound. 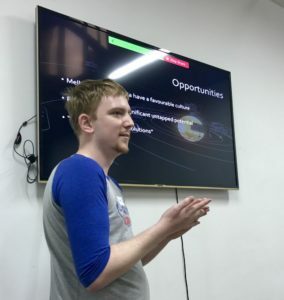 Liam McGuire from Opaque Multimedia talked about some of their projects (including a game which lets your train to be an astronaut and go to space!) and the industry overall. 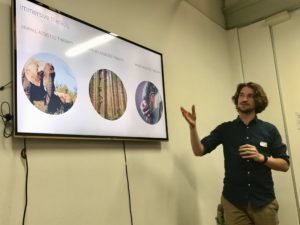 If you’re just getting started in the space, Liam reminded us to have a problem that can be solved with VR/AR – not getting enamored with the technology & trying to figure out a way to force it to solve the problem. One fascinating project they worked on is the Virtual Dementia Experience. Partnering with Alzheimer Australia Victoria, they developed a VR training simulator that allows people to experience what life is like living with dementia. The training is used to drive empathy with carers plus make it a much more memorable experience than traditional paper training. One of our amazing ProdAnon members not only suggested the idea but helped pull it all together so Liz & I would like to thank Claire Sawyers for the awesome work! Thank you to our sponsor for the evening – Blue Chilli! We’re taking a break until February 2017 but in the meantime you can sign up to our newsletter or join the slack channel (links above in the navigation). Have a fantastic break! This entry was posted in events and tagged VR by jen leibhart. Bookmark the permalink.